Halloween is such a fun time of year because you can let your imagination run wild. There tend to be more movies and books about paranormal topics, witches, ghosts, monsters, fairies, etc. Since I enjoy themed mysteries, I thought it would be fun to put together a list of the best Halloween mystery books. This post contains affiliate links, and I will receive compensation if you make a purchase after clicking on my links. A cozy mystery series set on Madrona Island, a fictional island within the San Juan Islands off the coast of Washington State. As a fourth generation islander Caitlin Hart is struggling to make her way as the economy and culture of the island evolves toward a tourism based industry. Cait lives in a cabin on her aunt's oceanfront estate where she helps her aunt run Harthaven Cat Sanctuary. When she isn't working with the cats, she helps best friend Tara, operate the coffee bar/bookstore/cat lounge they own, named Coffee Cat Books. In the fifth book in the series, Cait and Cody join forces to track down a killer when a body is found in the hollow. Find out more. 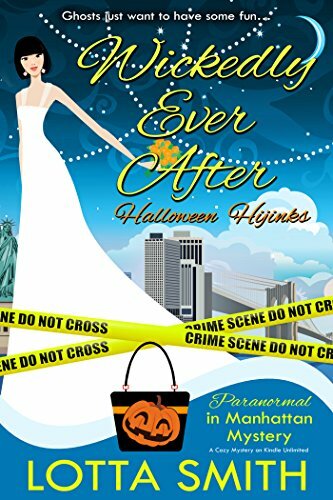 In the midst of the annual Halloween frenzy, Tj finds herself pulled into a series of events that occur at the high school where she works. Not only must she help one of her girls deal with the increasingly popular pastime of cyber bullying, but she must help a student who has recently suffered a personal tragedy. Meanwhile, Samantha Colton, a reporter for Second Look; a television series which takes a second look at unsolved murder cases, is in town to investigate the death of a popular student after the homecoming dance ten years prior. When Samantha turns up dead Tj realizes that someone has a secret they don't want revealed. Find out more. With the promise of a hefty commission and some valuable word-of-mouth for their catering business, A Little Taste of Heaven, sisters Bernadette and Libby Simmons agree to cater the charity haunted house being staged at the old Peabody School. 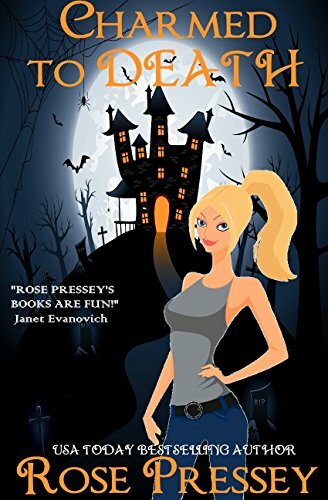 But when wealthy socialite Amethyst Applegate is found dead in the haunted house, Bernie and Libby wonder if a murderer might also be lurking about Peabody’s gloomy halls… While almost everyone Amethyst ever met might have a motive for killing her, not everyone had access to the Peabody School. All Bernie and Libby know is if they don’t solve this mystery soon, they might become the next stars in a real-life horror flick… Find out more. 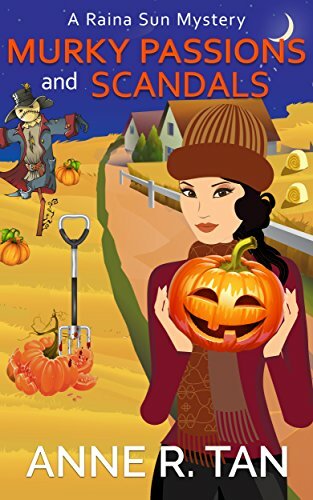 It’s Halloween in Caesars Creek and Tara and her buddies get more than treats when they clean the building next door to the Frozen Scoop ice cream shoppe. One surprise has pointy ears and a tail, while the other revelation isn’t as cuddly. In fact, it’s downright ghoulish. Join the crew for another mystery tale that also includes Tara wrestling with her feelings for Brandon. 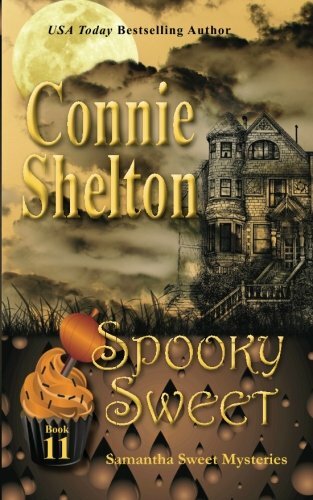 This story includes macabre goodies including visions of Cherry Jubilee and Mocha Almond ice cream. Find out more. Domestic diva Sophie Winston is getting into the Halloween spirit- her decorations for a community haunted house are so good, it's scary. Not to be outdone, rival domestic diva Natasha is throwing a spooktacular Halloween party at her house. But when Sophie arrives, she discovers one of Natasha's guests dead in a Halloween display, and a pale, fanged partygoer fleeing the scene. Could the killer be a real vampire-the same one rumored to have lived in Sophie's haunted house back when it was a boarding house? Good thing a domestic diva never runs out of garlic. Find out more. 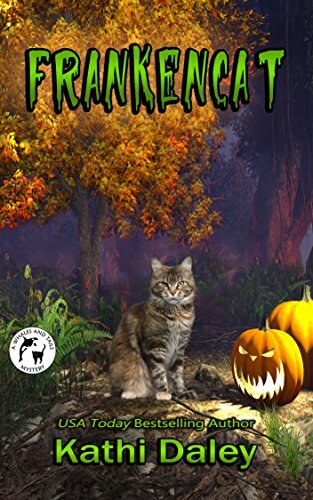 When Jaine Austen's beloved cat Prozac unwittingly scares to death a parakeet belonging to the neighborhood's resident curmudgeon, Jaine finds herself knee-deep in toil and trouble. The cantankerous Hollywood has-been once played Cryptessa Muldoon, television's fourth most famous monster mom. Now she spends her days making enemies with everyone on the block. 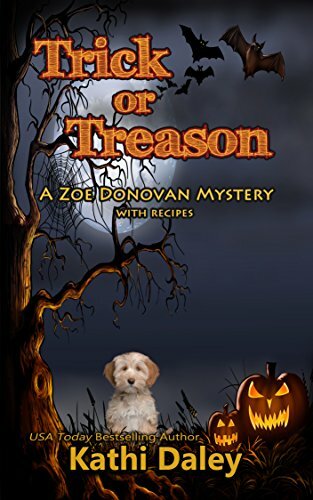 So when the ornery D-lister is murdered with her own Do Not Trespass sign on Halloween night, the neighborhood fills with relief--and possible culprits. Find out more. “After her death the kids used to say her ghost haunted the plantation.” The bayou holds many secrets. One of them is what really happened to Lisette, a beautiful Creole teenager who died on the last day of school. Everybody in Fanchon’s reclusive bayou parish knows Lisette died in a boating accident, but when the police take a closer look, they unearth the dead girl and find a surprise in her grave. This Saints adventure takes Fanchon from New York to New Orleans for Halloween and to one of Louisiana’s most beautiful plantations, Oak Alley. Find out more. Jenna Hart has packed The Cookbook Nook chock-full of everything from ghostly texts to witchy potions in anticipation of the annual fundraiser luncheon. But there's one unexpected addition to the menu: murder. When the Head Priestess of the Winsome Witches is found dead under mysterious circumstances, there's no logical answer and plenty of blame to go around. 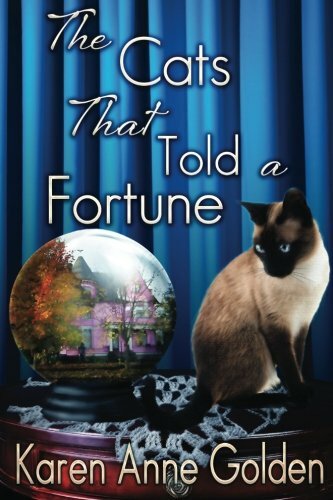 With her aunt, Vera, unable to call on her ability to foresee the future, Jenna will have to use more than just sleight of hand and a few magic tricks to conjure up the truth... Find out more. Did I miss any of your favorite Halloween mystery books? Halloween Movies that aren't Gory by How Was Your Day? 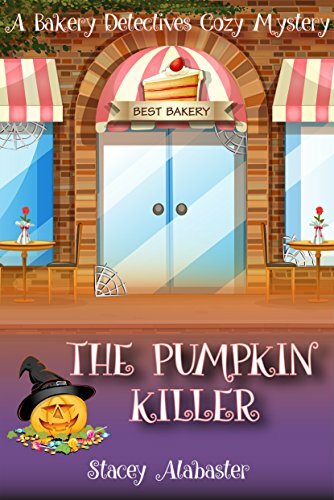 Best Of cozy mysteries, Halloween, mysteries. permalink. I love the fairy pic above! I checked out Stirring the Pot on Amazon, which any foodie would love to read I think. These are fun to look at and I just love Halloween too. I’m getting out my purple and orange lights already and it’s still September! Thanks, Deb. I thought they looked like fun titles. Cannot wait to decorate a bit! These all sound like a lot of fun! And I am so ready to read them, we already decorated our house for Halloween! I need to start mine now! I never thought of reading a book for the Halloween season. I do like to watch scary movies so reading books would be good for me. I like a good mystery book every once in a while. The books you mentioned sound really good. I’ll look into them this weekend! Frankencat looks fun. It combines the greatness of cats with the greatness of Frankenstein! There are lots of great ones to read! These all sound like good reads. I am particularly interested in Death of a Neighborhood Witch. I am always up for a good book and this time of year I like a little mystery without being overly scary. Good selection! I love mysteries! Halloween is a fun time and I am sure my daughter and I would like to read Ice Cream You Scream: A Cozy Mystery. I haven’t heard of these but right now I’m reading a mystery thriller called The River at Night. So far it’s good. Room on the Broom sounds like one my kids would like! Great suggestions. WE like to do Halloween activities that we can do as a family. I like reading to my grandsons. It’s such a fun holiday! Thank you for these awesome recommendations! OOOO I love a good mystery. Thanks for the ideas! This is a great list of books to read for halloween. I’ll have to try a few of these! Thanks! They all look so good, thanks for giving us such a selection to choose from!! There are some really great choices here. I love reading and love mysteries as well. Thanks, Terry. Hope you have a chance to read them. Always looking for new books. Some of these sound interesting! Oh those all look so fun and good! I normally read romances, but just started some of the cozy mysteries. I really like them! I have to read some of these. I love when they are about current holidays or seasons! THese look like great pick for Halloween! I’ll have to remember some of these! Thank you! This is the perfect time of the year to stay inside and curl up on the couch with a good Halloween book! 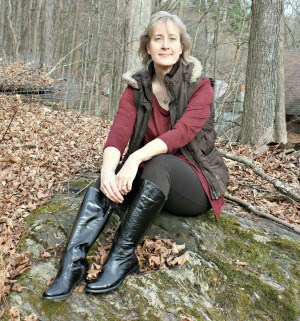 Cozy mysteries are one of my favorites. Thanks for all the great suggestions! Thanks for sharing these titles. They sound interesting! Hope you have a chance to read some! I love a good mystery book. I am getting good at playing detective.